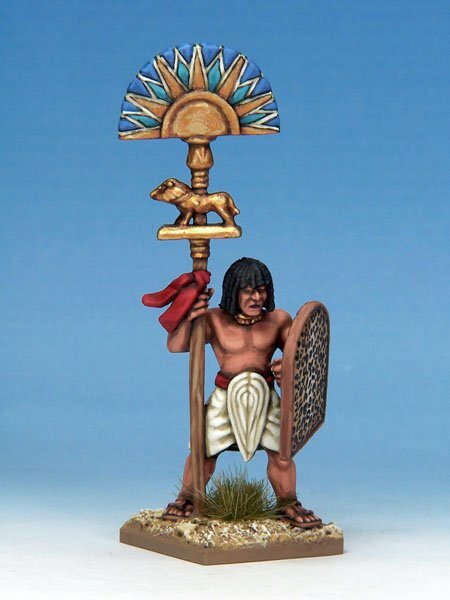 If you want your Army Standard Bearer in a chariot, we've done it for you. We've taken the figure of the Army Standard bearer, and supplied him with a chariot, driver and horses. The crew and horses are 28mm sized metal figures, supplied unpainted. The chariot is a laser cut MDF kit, that requires constructing using glue and then painting.